A brief history of the company that brings homeschoolers the best in Sports Equipment! In 1953 , Don Canham, then University of Michigan Track Coach, was in Europe touring as the coach of an AAU team. In Finland, he saw a 16mm movie film formed into a “loop” so students could watch an athlete’s technique over and over without touching or reversing the film. After securing the 1936 Olympic films, he made a set of 16 different loops of the great champions from those games and of others he had filmed in various countries. In three months, this set of films sold to thousands of coaches in the United States and Europe. With this accumulated capital from the original investment of $250, he filmed and produced over 20 different “loop” sets, from cheerleading to football. Thus Champions on Film, the first of five divisions of School-Tech, was born. In 1955, the company began to import stopwatches from Switzerland and to manufacture weighted ankle bands, weighted jackets, and training devices. Sales to coaches of all sports led him into manufacturing disposable side-line markers for football, hurdles for track, backstops for baseball, and today, over 200 items for sports and recreation. 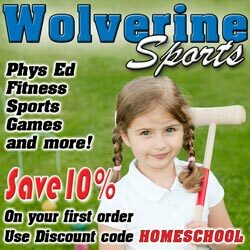 This company, Wolverine Sports, sold only to the retail market, with the largest sales to the educational field. However, requests from sporting goods dealers to see Wolverine products brought on a wholesale division called Olympia Sports , now serving over 5,000 sporting goods dealers. These products are manufactured and distributed from Ann Arbor, Michigan.